Designer Contracts, the UK’s largest flooring contractor, is celebrating another record year. The latest end of year figures in October 2018 show a 15 per cent year-on-year growth. Critical to the growth was a 25% surge in volume from its central distribution facility in Kettering which maintains a constant £2 million stock level, recently boosted by an additional £500,000 to £2.5 million, ensuring levels are high should there be a hard Brexit. Said md, Peter Kelsey: “As concern around the uncertainty over Brexit has grown, we’ve seen more and more businesses become risk-averse, dealing with established suppliers with a solid provenance and level of stockholding that facilitates swift deliveries. That has become very clear in the volume growth seen at our Kettering facility. “As a company we have enjoyed consistent growth over the past few years and this is now driving our plan to double turnover to £80 million and increase staff numbers from 300 to 600 by 2023. “As part of our strategy we opened three new regional facilities in Yorkshire, East Anglia and Kent in 2018, taking the total number throughout the country from 12 to 15. 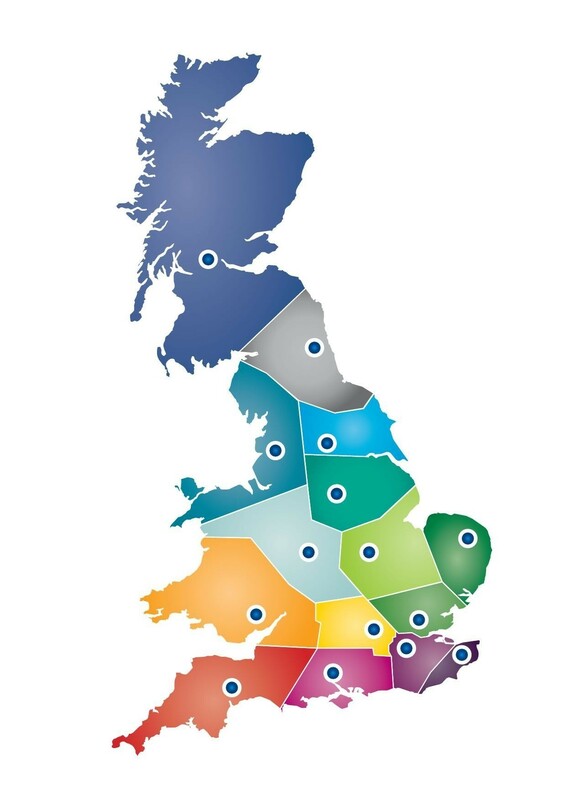 The company operates across 15 UK regional facilities. As well as flooring the company provides curtains and blinds, furniture and lighting, and operates a showhome and contract-focused interior design services division. In addition, the company is now officially classed as a large business, defined as employing over 250 people and turning over more than £5.75 million per annum.